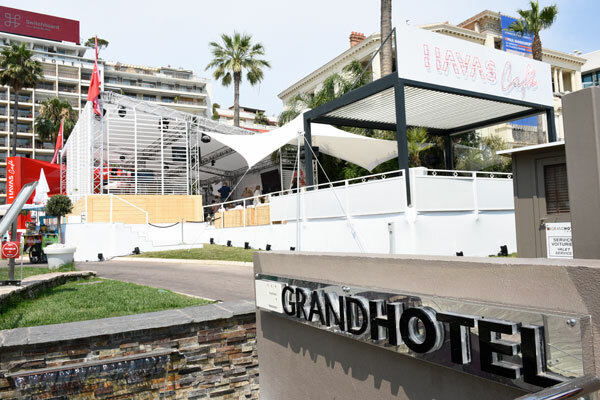 Havas Café hosted the actress Halle Berry in the heart of the Croisette for a conversation about the Status of Woman and her relationship with brands. 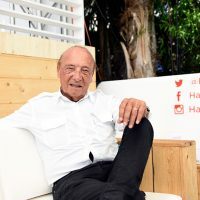 For 11 years now, Havas Café has become the inevitable rendezvous of creativity in the middle of the Croisette for the Cannes Lions participants, at the International Festival of Creativity. 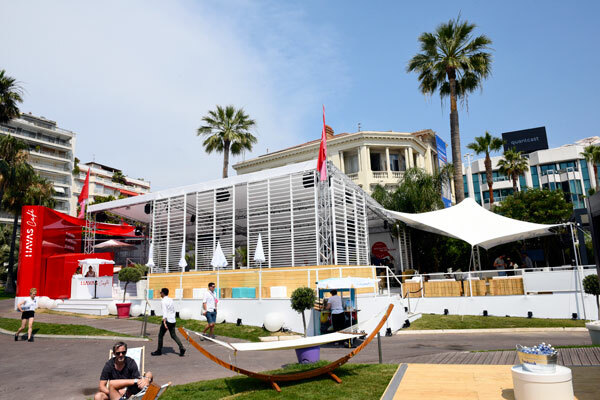 Its luxurious and airy space of reception and networking in the Grand Hotel luxurious gardens, adorned with thered colors of Havas, is offering the Cannes Lions delegates a moment of relaxation and refreshment. 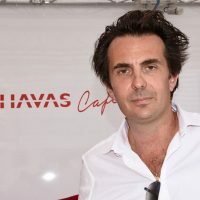 The haven of peace is a real institution for advertisers, because of its location and its events: show-cases, newsroom, press conferences like that of Halle Berry, who talked about the Status of Women in 2017, but also how she conceives her relationship with the brands or that of Yannick Bolloré, talking about the news and projects of the Groupe Havas. 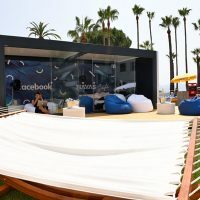 Cannes Lions, the International Festival of Creativity, took place from 17 to 24 June 2017 and was a huge success on the Croisette. 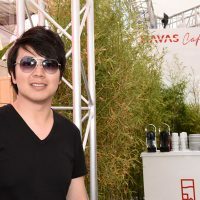 But between the results of the competition, the seminars at the Palais des Festivals, the breakfasts and lunches and meetings, the life of a creative is busy! 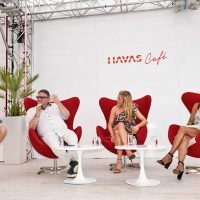 The world’s largest event about creativity finds its haven of peace at Havas Café before the days stretch into the night with cocktails and parties on luxury yachts, beaches or dream villas. 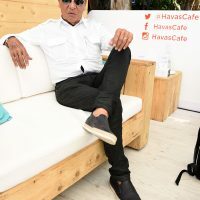 Composed of trellis with a raw wood decoration, white sofas and multicolored giant cushions, the bar at Havas Café provides coffees and delicious refreshment throughout the day. 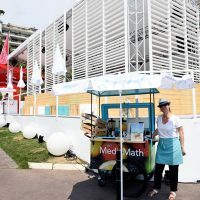 The partners Lacoste, Citroën, Roche Bobois, Pernod Ricard, Décathlon, MediaMath and Evian have contributed to the success of this space of conviviality, relaxation and networking. 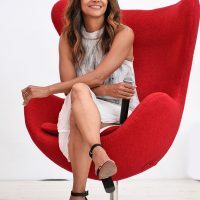 On June 20, 2017, there was great excitement for the arrival of Halle Berry, a world-famous actress, engaged in different battles for women’s equality. During the conference dedicated to her, the actress talked about the Status of Women in 2017 but also how she conceived of her relationship with brands. Accompanied on stage by singer Ellie Goulding and Universal Music Group Chairman Sir Lucian Grainge, the American star clarified what the status of women should be today: “A woman can not be recognized in a society for her role of mother or loving wife. Being so reductive is inconceivable! Being a good mother is natural and shouldn’t be a social recognition”. The actress claims more women in key positions in cinema: “The more producers, directors and actresses we have, the more we will be able to change the perception of women from within and thus rebalance our presence within the film Industry”. Sir Lucian Grainge, the chairman of Universal Studio then added: “Provided that “meritocracy” remains at the center of these transformations”. Regarding her relationship with brands, the actress who was married for a few years to French actor Olivier Martinez, insisted on the values she should represent: “I want philanthropic brands, respectful of the environment. 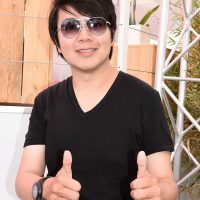 I need to believe in the partners to whom I will give visibility, and above all, I want my fans who buy their products to be proud to bringwe have for the messages they represent. I have been able to work with them on the representativeness of women of color and I am proud to have contributed to a real change of culture and image for the brand”. The actress finished her conversation by stating that she was ready to work with new advertisers who will allow her to bring her beautiful messages. At the end of the cession, the public conquered by so much grace, humility and combativity would surely have liked to continue exchanging with this beautiful personality, but alas everything has an end. 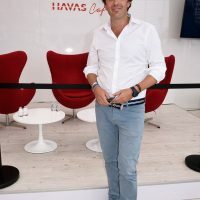 Thank you Havas Café for these delightful and captivating moments where everything seems wonderful, positive and smooth as Americans know how to do, because one can not pretend to ignore that the American Revlon group of which she was the muse, continues to use animals in laboratory to test its cosmetic products.